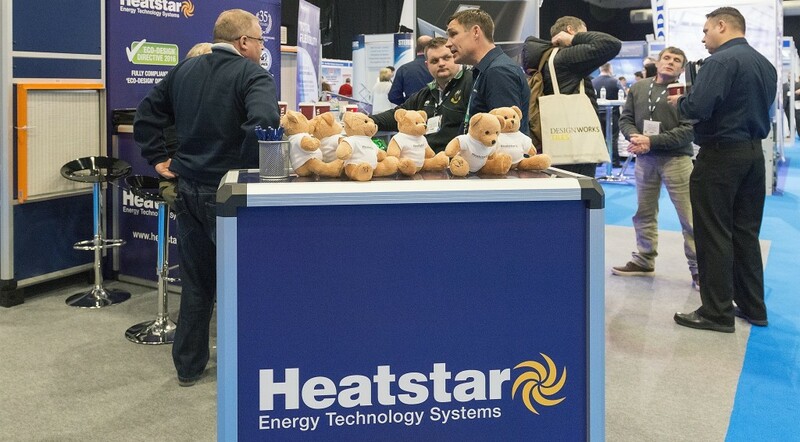 ABOVE: Make a date to visit the Heatstar team at the forthcoming SPATEX trade show. significant programme of job creation. The sustained growth which Heatstar has experienced has enabled them to make a 20% increase in the production workforce over the past year alone.In addition to their reputation for excellent customer service and maintaining their market leading position in the areas of energy efficiency and cutting edge product design and innovation, Heatstar has enjoyed another factor helping to drive their success. Because their products are manufactured exclusively in the UK, Heatstar has been able to avoid imposing the burden of excessive price increases which have been frequently attributed by other manufacturers to differences in currency rates. Existing customers and new visitors are sure of a warm welcome and the opportunity to ‘get to grips’ with two of Heatstar’s new flagship climate control units – the new look ANDROMEDA EC, Heatstar’s perfect solution for residential pool dehumidification and the PHOENIX MP which enhances the heat recovery from expelled pool room air to over 95% offering highly effective climate control with minimal energy use.Both these units will also be demonstrating Heatstar’s remote operational and energy monitoring system – the LYNX Energy Management System. The LYNX system has recently been changed and updated to ensure the system remains at the cutting edge of remote control and monitoring technology. This enables its users to access and monitor their Heatstar system over the internet from the other side of the world or the other side of the building. Moving Water Is Safe Water!